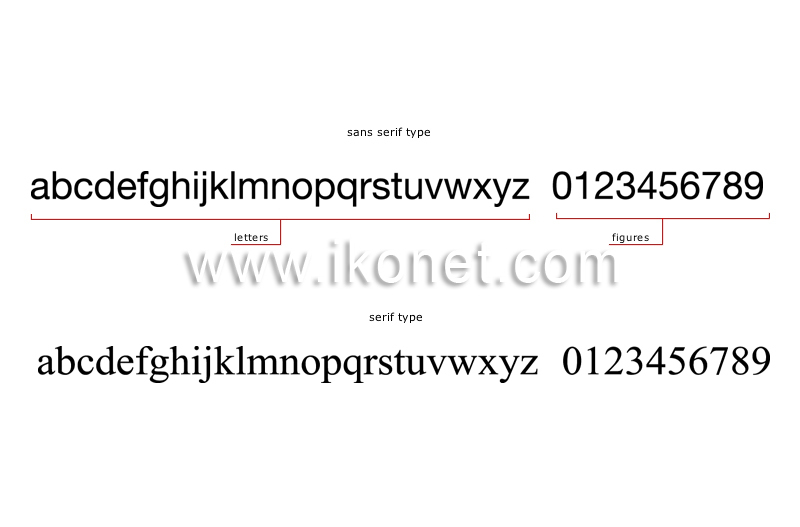 Characters of type that make up the various fonts and are divided into two main types of characters: serif and sans serif. Letter or figure with a line extension at the end of the stroke. Letter or figure without a line extension at the end of the stroke.